When an old hermit monk has his day interrupted by an uninvited guest, he is unwillingly taken on a journey to discover the true meaning of companionship. Today is the 20th day of March the ‘International Day of Happiness’ and I’m sure there are many millions of people out there all around the world who have NO happiness in their lives today! Their lives full of sadness, fear, hunger and tragedy. What will you do today on this day of happiness to try and make someone else happy if only for a minute? 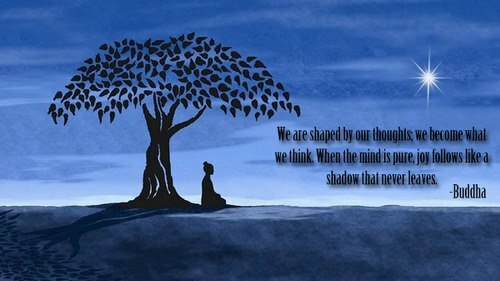 “Some people do not know the difference between mindfulness and concentration. They concentrate on what they’re doing, thinking that is being mindful. . . . We can concentrate on what we are doing, but if we are not mindful at the same time, with the ability to reflect on the moment, then if somebody interferes with our concentration, we may blow up, get carried away by anger at being frustrated. 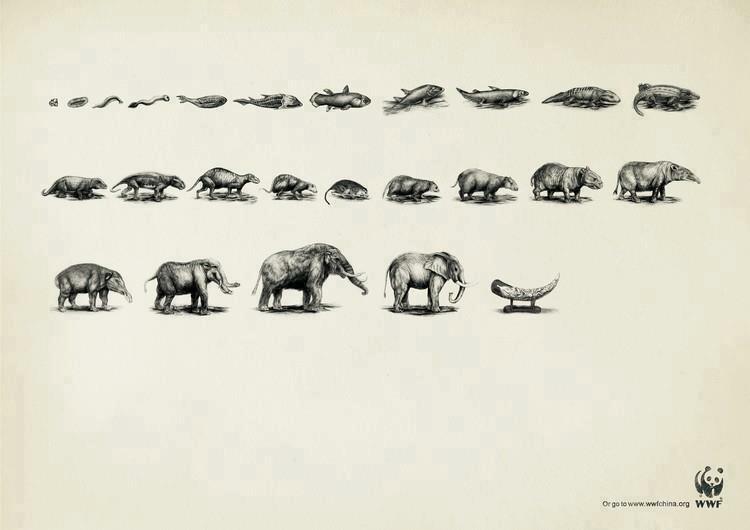 Evolution has its purpose but this is NOT IT! 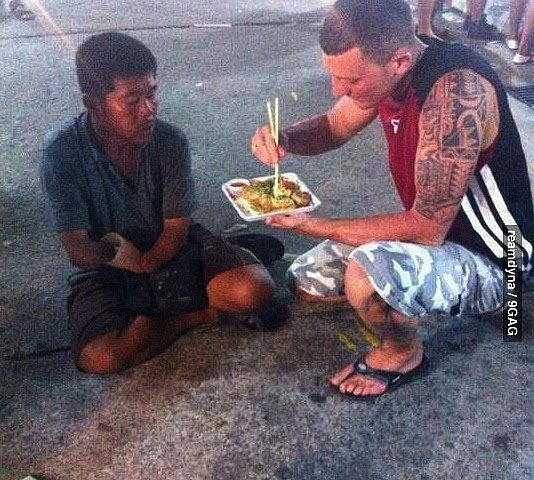 One day mankind will come to it’s senses and realise were all in this together! I just hope it won’t be too late! If each and everyone of us stood up and said THIS IS WRONG…then things will change! Where have you been? I’ve been looking for you all my life and I didn’t even know it! The familiar soul you meet one day you swear you know from somewhere but never met in this lifetime. It has probably happened many times during your life, this soul deja vu. You meet someone who resonates with your very heart and you wonder how the Universe helped you walk right into each other’s life. In this age of rapidly accelerating energy and evolutionary ascension, we are experiencing this soul recognition more frequently than ever before. Many of us are finding our soul families online. The world becomes a different place as we understand that we have to take more responsibility for our personal environment. 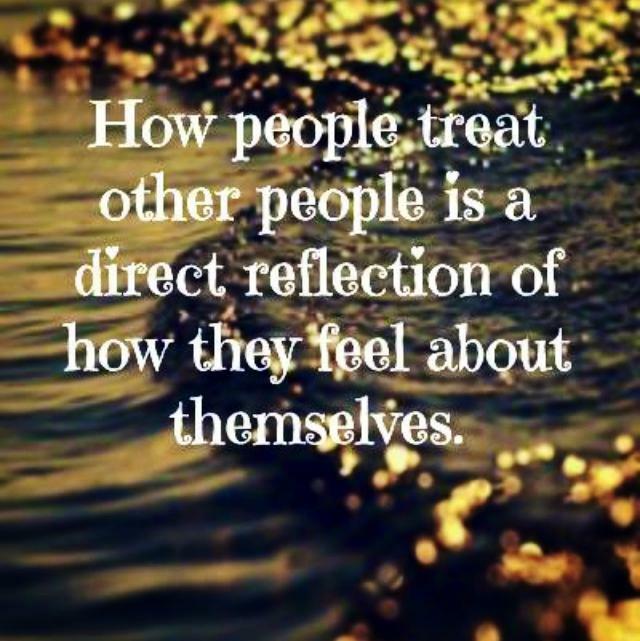 Many of us have been on the quest of surrounding ourselves with “light” minded people. It has become so much easier for us to explore and communicate with each other. It gives reason and a higher meaning to the technology explosion we have had to adjust to in just the last few years. 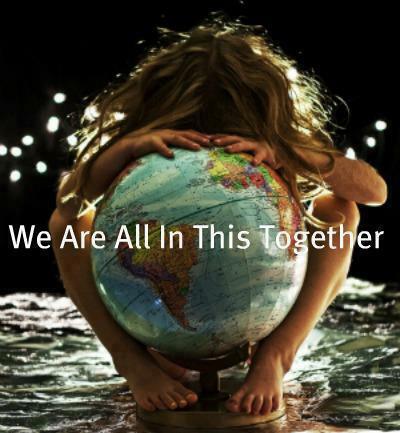 It becomes obvious that without it, we could never have come together spiritually in such a remarkable way. Your soul family can be more than just other people who think like you do. They could have incarnated with you through different lifetimes throughout the history of the Earth and beyond. They are your cosmic sisters and brothers from the Other Side. You may have once lived in a colony together and made a pact to find each other in this or that life. Depending on your life choices and ability to listen to the signs and messages, you may realize this phenomenon several times. You will feel instant recognition and understand many things in common between you. You know what the other is thinking without saying a word. You have the same spiritual beliefs and questions. 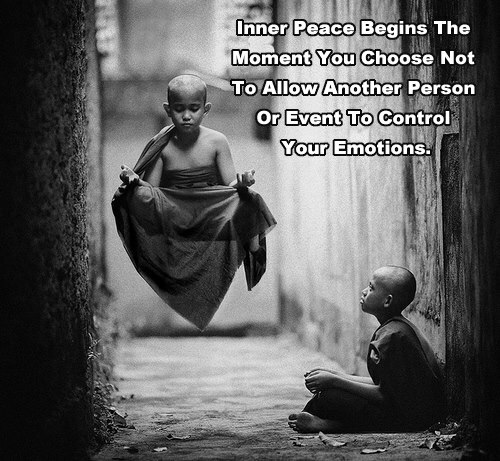 You feel energy between you that is on another level. You know this person was truly in your life chart to assist you and you them. 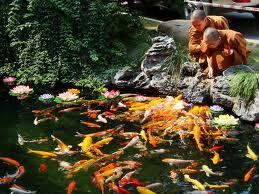 You can also possess a very strong psychic bond and share healing energy that is very advanced. Have you ever felt the family you were born into comes from another planet? Your ideas and personalities may clash in such a manner you wonder if we all really do choose our blood family before we incarnate. You may feel that you never belonged with or been understood by the very people who gave you physical life and most of the immediate family around them. Consider (remember) that this dynamic may have been exactly what you needed to raise your vibrational energy field by completing your soul theme challenges in this life. The control dramas and life scenarios played out between you, no matter how absurd, have assisted in the soul growth you needed to spiritually evolve. We all eventually come to realize holding on to these painfully difficult family situations hold us back from completing our life themes and healing the past. It may be absolutely necessary to remove yourself physically from this kind of constant negativity to heal emotionally and spiritually. You can still forgive and move on without having to ever be in the same space again. Some of the loveliest people on Earth have been raised in cruel and heartless circumstances. They somehow know that they are on a higher vibration and they keep moving forward to a higher purpose. 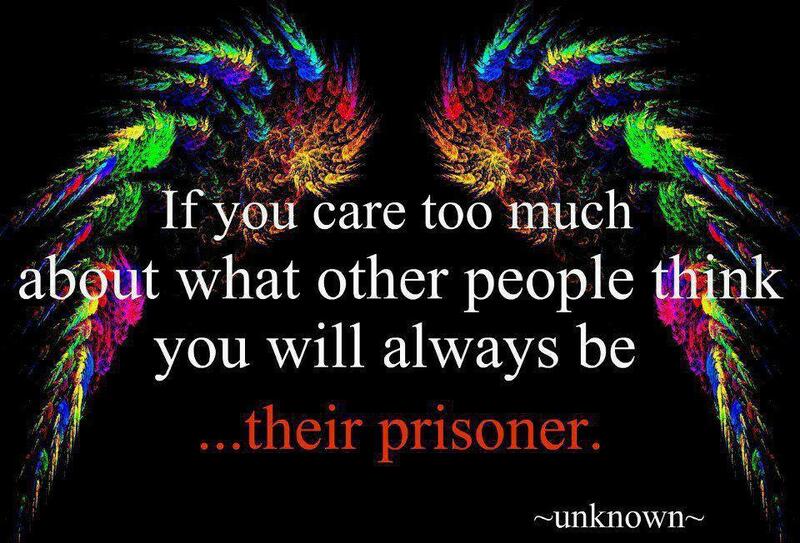 You can always free yourself to recognize your true soul family! It is genuinely possible to find peace and harmony within that helps your purpose shine with others. Millions of people who are thinking the same thoughts, getting the same messages, and awakening the new era have started sharing and creating miracles together in a very short time. Collectively we understand each other. Members of your “soul family” will weave their way throughout your lifetime. Your level of awareness, combined with theirs, can spark miracles of recognition, healing, and fantastic events! 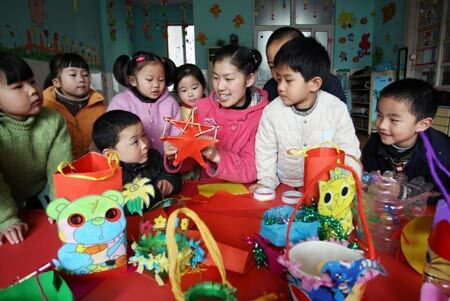 The Lantern Festival falls on the 15th day of the 1st lunar month according to the Chinese Nongli Calendar, usually in February or March in the Western Gregorian calendar, in 2013 this falls on February 24th. 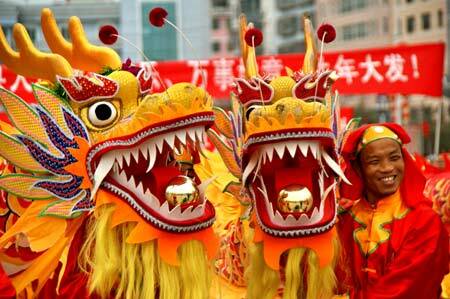 As early as the Western Han Dynasty (206 BC-AD 25), it had become a festival with great significance. This day’s important activity is watching lanterns. 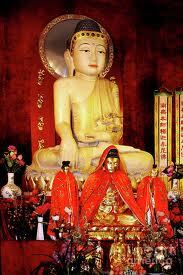 Throughout the Han Dynasty (206 BC-AD 220), Buddhism flourished in China. 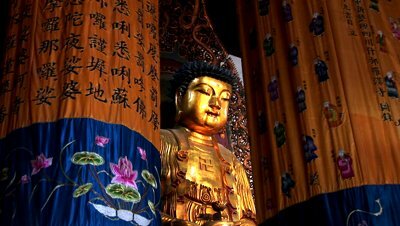 One emperor heard that Buddhist monks would watch sarira, or remains from the cremation of Buddha’s body, and light lanterns to worship Buddha on the 15th day of the 1st lunar month, so he ordered to light lanterns in the imperial palace and temples to show respect to Buddha on this day. Later, the Buddhist rite developed into a grand festival among common people and its influence expanded from the Central Plains to the whole of China. 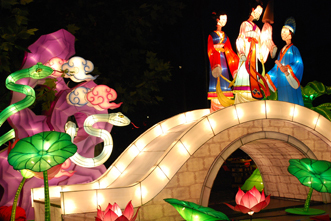 “Guessing lantern riddles”is an essential part of the Festival. Lantern owners write riddles on a piece of paper and post them on the lanterns. If visitors have solutions to the riddles, they can pull the paper out and go to the lantern owners to check their answer. If they are right, they will get a little gift. 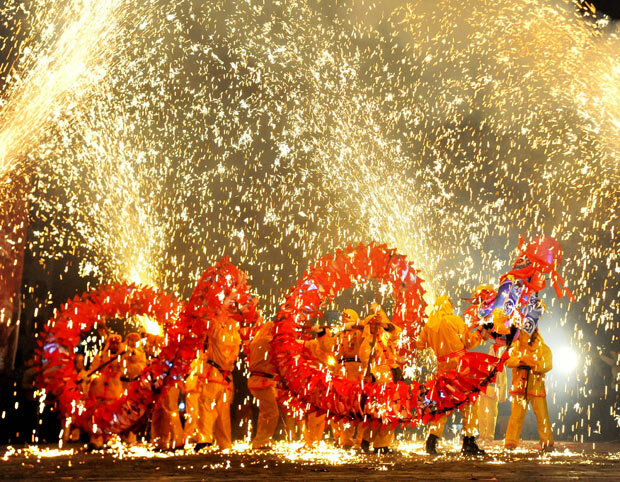 The activity emerged during people’s enjoyment of lanterns in the Song Dynasty (960-1279). As riddle guessing is interesting and full of wisdom, it has become popular among all social strata. 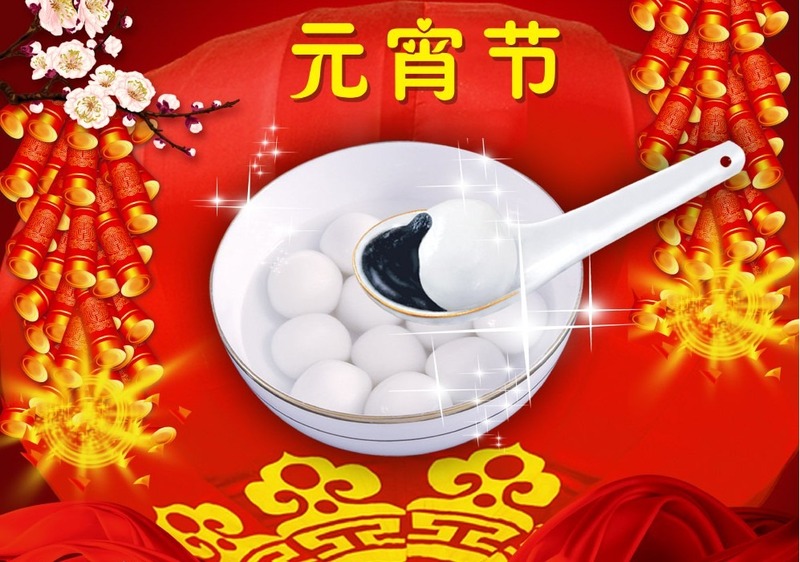 People will eat yuanxiao, or rice dumplings, on this day, so it is also called the “Yuanxiao Festival.”Yuanxiao also has another name, tangyuan. It is small dumpling balls made of glutinous rice flour with rose petals, sesame, bean paste, jujube paste, walnut meat, dried fruit, sugar and edible oil as filling. Tangyuan can be boiled, fried or steamed. It tastes sweet and delicious. What’s more, tangyuan in Chinese has a similar pronunciation with “tuanyuan”, meaning reunion. So people eat them to denote union, harmony and happiness for the family. A very simple introduction to Mindfulness, easy to follow showing the benefits of its practice and being in the NOW. In which tense are you living in now? 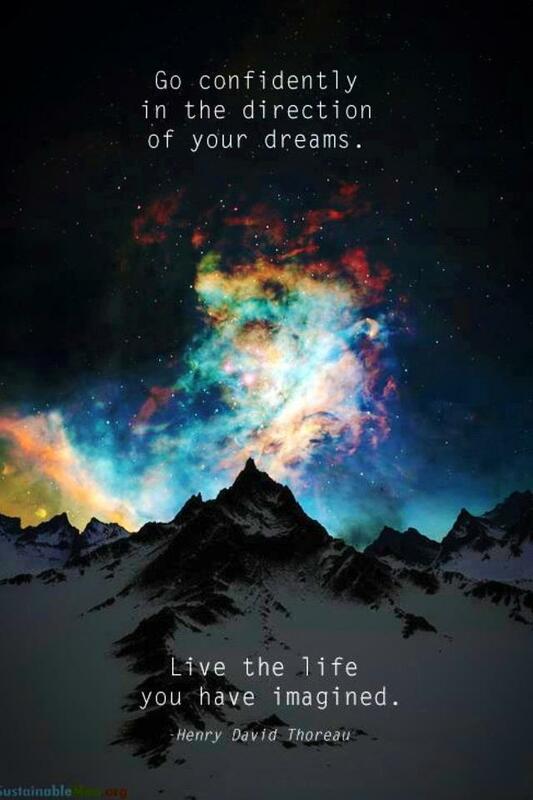 It’s ultimately your choice, so do ‘YOU’ need to make a change to ‘YOUR’ life? 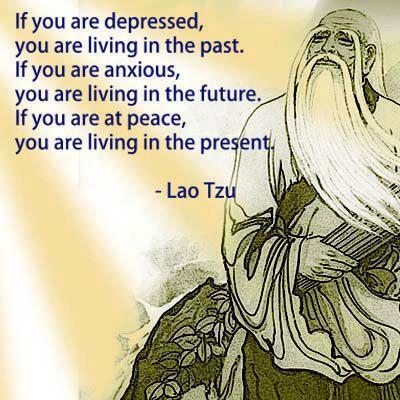 Lao Tzu is a particular favorite of mine and I have studied his writings but he is only one of many great sages that can offer you great advice and help you bring your thoughts into the NOW. The Now is where you need to be, you need to be happy and content with who you are and where your life is taking you, if not then you need to make a change. I wish you happiness, love and peace. 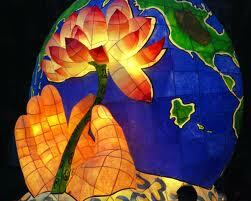 Unless and until we have peace deep within us, we can never hope to have peace in the world. 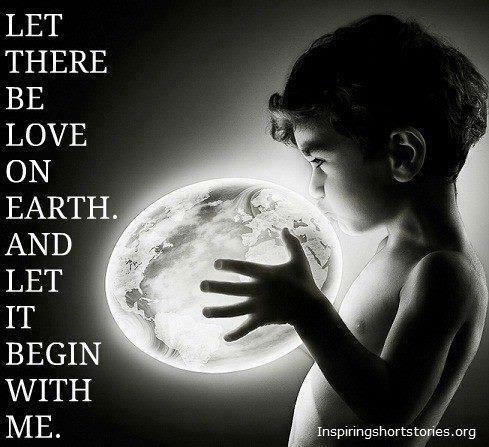 You and I create the world by the vibrations that we offer to it. If we can invoke peace and then offer it to somebody else, we will see how peace expands from one to two persons, and gradually to the world at large. Peace will come about in the world from the perfection of individuals. If you have peace, I have peace, he has peace, and she has peace, then automatically universal peace will dawn. 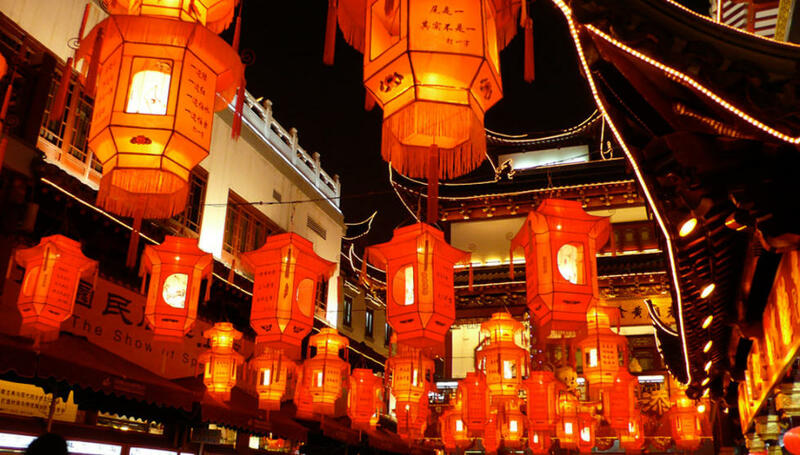 May and I are off to the Jade Buddha Temple in Shanghai today, today is the 5th day of January in the Chinese Nongli Calendar so the fifth day of the new year is the God of Wealth’s birthday. and a smaller reclining Buddha representing Buddha’s death. 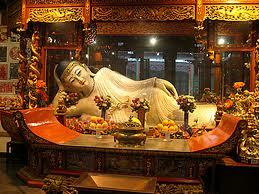 The temple now also contains a much larger reclining Buddha made of marble, donated from Singapore. 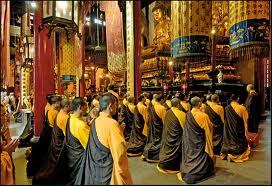 I will pray for Peace, Happiness, Compassion, Good Health, Friendship and Love.